On Thursday night the Board of Education took a vote to request funding for a feasibility on what would be needed to upgrade fields at Central Middle School, though whether that might mean artificial turf or a proper natural grass field with proper drainage was not specified. Feasibility would involve traffic studies, pedestrian safety studies, soil studies and a plan for working with the athletic department, neighbors and parents. The backdrop to this decision are that ther are two conversations taking place in Greenwich – one about the Town’s overall lack of capacity in terms of playing fields and one about the feasibility of upgrading one of the three middle school fields. Though ultimately the board voted in favor of pursuing the feasibility of upgrading CMS, there was also some discussion of upgrading Western Middle School. The issue there is that a remediation plan and timeline there are yet to be finalized. 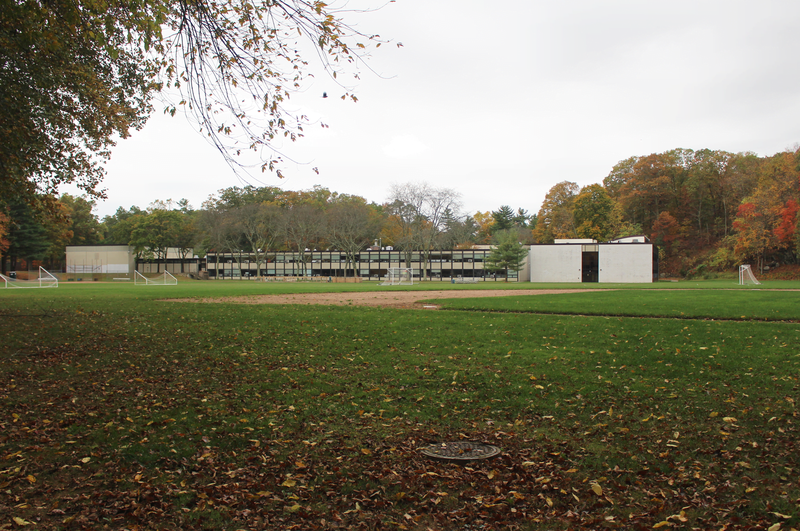 The district is subject to the state and the EPA to get a remediation plan approved at WMS. Laurie O’Donnell presented the recommendation to study feasibility of upgrading CMS using $300K in the FY 18-19 capital plan budget. O’Donnell said WMS has an unknown timeline for soil remediation, and that CMS is centrally located. She noted that at CMS there is parking availability and the school can accommodate a regulation sized field. She said CMS also has close proximity to Greenwich High School, and that the site design stage would include an MI application. “We’ll look at options for turf and grass and options for field layout, lighting traffic and safety studies, stakeholder feedback,” O’Donnell said. Dr. Francis moved that the board accept the proposal. Kathleen Stowe said she felt both CMS and WMS fields should be considered. Peter Sherr said the focus on the Central Middle School field project grew out of the clear need for an additional practice field to support Greenwich High School athletics. “It was not someone saying, ‘Oh, gee,’ Let’s go upgrade a middle schools. The level of misinformation about this project was quite high,” he said. “Why can’t administrators tell us what we need?” he asked. Jennifer Dayton said she recommended capping and turfing Western Middle School field. Dr. Francis said Greenwich High School students go over to Julian Curtiss School for practices and nobody seems to object. “I think this is something that is reasonable, but we need to explain it carefully and clearly for people to understand it,” Dr. Francis said. “Why is it okay for one middle school and not another if the need is truly for a middle school?” Mr. Bernstein asked. “The answer is CMS has space for three or four fields. Western has three fields. Eastern is so small it doesn’t have the space,” Sherr said. “Let’s say the state moves quickly. I don’t want to see it left behind,”Bernstein said. “I’ll add that we’re thinking about it,” O’Donnell offered. “There are some economies of scale to do both schools,”Ms. Stowe said. “I want focused rifle shot projects that we really need,” Sherr said. “We haven’t tested the soil at CMS. Is there any possibility we’ll be out another field?” Ms. Olsson asked. “Yes, we run that risk,” Ms. O’Donnell said. “We don’t really have the money to do the feasibility for both CMS and WMS,” Barbara O’Neill said. A motion to amend the resolution to add WMS failed. The motion to do the feasibility study for upgrading the fields at CMS passed 5 to 3, with Dr. Francis, chairman Bernstein, Peter Sherr and Lauren Rabin in favor, and Jennifer Dayton, Meghan Olsson and Kathleen Stowe voting against. During public comment which took place before the BOE discussion, CMS neighbors testified in opposition of upgrading the fields if it meant GHS students would use them. Liane Tel, who lives at 1 Coachlamp Lane, said if Greenwich High athletes use fields at CMS, they will arrive at the school early and wait for their practice starts until the CMS kids finish their sports. Kate Noonan Glaser of Coachlamp Lane said she was concerned about the mixed use of fields and supervision if CMS became a high school field. “They’re going to hang out in those fields. That’s what high school kids do,” she said. Mr. Ducret said that at Riverside a child fell on the field where there was a rock and his injury required 20 stitches. “I hear that noise for practice and recess and those whistles can be annoying, but I chose to live next to a school,” he said, adding that two girls on the track team crashed running in the track in the dark this past season, and one got a concussion. Muir said the district should do comparables to other towns. “My family is in support of the upgrading of the stadium, and the later start time,” he said. “As a father I’ve seen the benefit of later start time and the positive impact on my children,” Muir added.